This wine had boldness even before coming out of the vineyard and this trait prevails through the magical transformation from fruit to wine. For those prepared to explore this intensely deep purple Shiraz, you will find dark plum and gentle liquorice undertones beneath the bold surface. 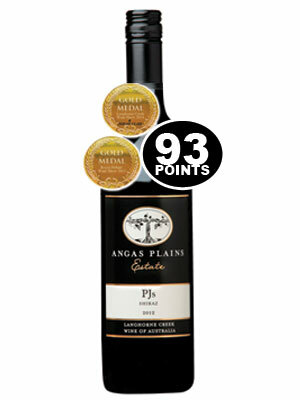 2012 was an exceptional growing year at Angas Plains Estate. Aged in French and American oak barrels for 14 months. Enjoy this wine over the next 5-15 years.